When you’re starting out as a homesteader, time and money are your most critical resources. So what happens if you lose your job, or have your work hours cut significantly? 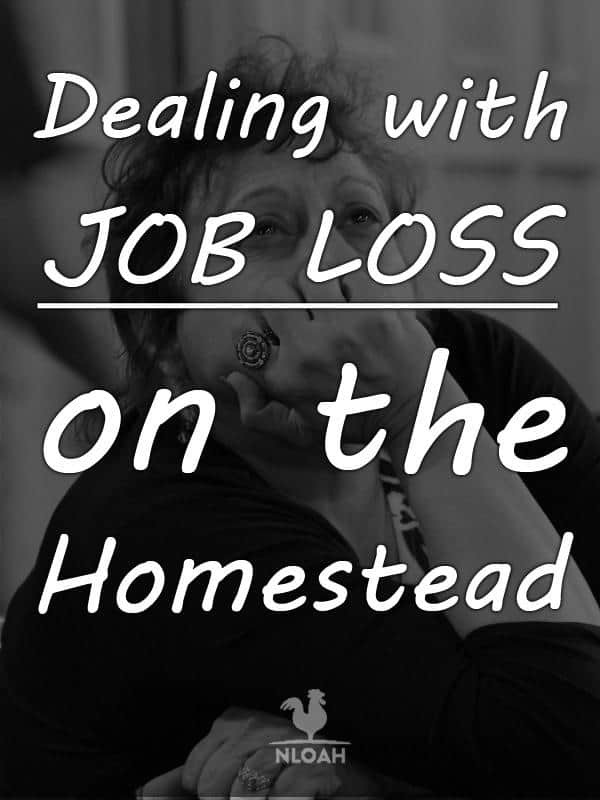 Dealing with job loss on your homestead can be challenging and stressful. Job loss is one of the most stressful experiences Americans deal with, and for good reason. 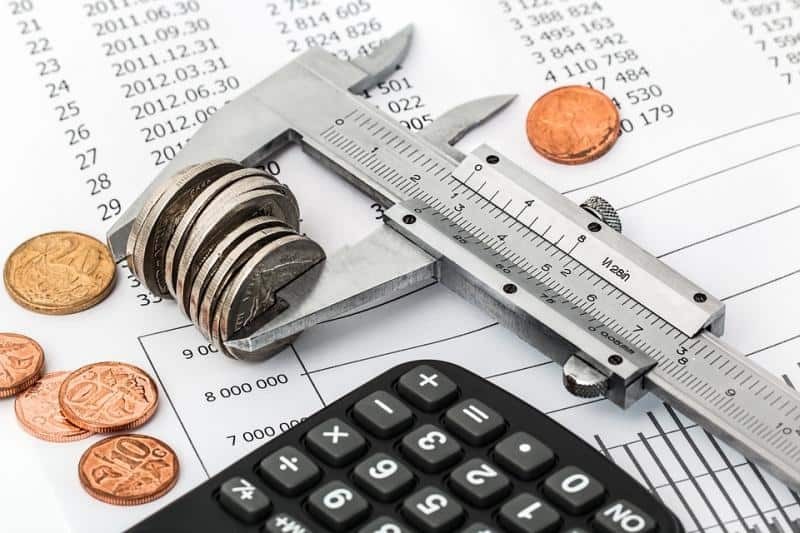 Unless you’ve got a ton of money in the bank, you are faced with the nagging fear of how you are going to put food on the table, and pay your essential expenses. Job loss affects homesteaders differently than other people, too. It is hard to remain idle as a when you have a homestead to run; your livestock, crops, and buildings constantly require some sort of attention. And as a homesteader, you always have to be moving forward, and you cannot afford to let paralysis set in. However, even facing a setback like job loss, you also have some distinct advantages as a homesteader that others do not. You’ve chosen a lifestyle that is all about facing challenges, solving problems and making the most of what you have. You pride yourself on being self-sufficient, and your homestead isn’t just a place; it is a way of life. It can keep food on your table all year long, and can even help you close that big hole in your budget due to your job loss. Yes, losing your job is tough. But it doesn’t have to mean the end of your homesteading lifestyle. Here are some tips that can help you deal with job loss. Don’t let the shock and stress of losing your job spiral downward into something even worse. Protect your routines, and avoid making other abrupt life changes during this period. If you start each day with a morning run, don’t start just laying around in bed feeling sorry for yourself. Take care of your property, your garden, and your livestock. Avoid destructive habits, such as heavy drinking, that will only amplify your depression. Raise your personal standards while you are dealing with job loss, don’t lower them. Just how much is the loss of your job going to affect your homestead? That is the first question you need to ask. How reliant were you on the income from the lost job? Was your take home pay covering major bills for you, like a mortgage, utilities, food, and credit card debt? Is your homestead, or any other activities you do, providing any revenue at this time? It may be a good idea to write down all of your monthly and annual expenses on a piece of paper, or a dry erase board, to help you assess your current situation. If you’re computer savvy, using a program like Excel or Google Docs is also a great option, since you can revise your work, access the documents from anywhere, and take advantage of built-in features, like math formulas, to do some of the calculations for you, too. Write down all of your outgoing payments, making sure to capture those that are peculiar to your homestead; animal feed, hay, and vet visits all add up. Then, write down any revenue that you currently have coming in from your homestead, or any other activities. 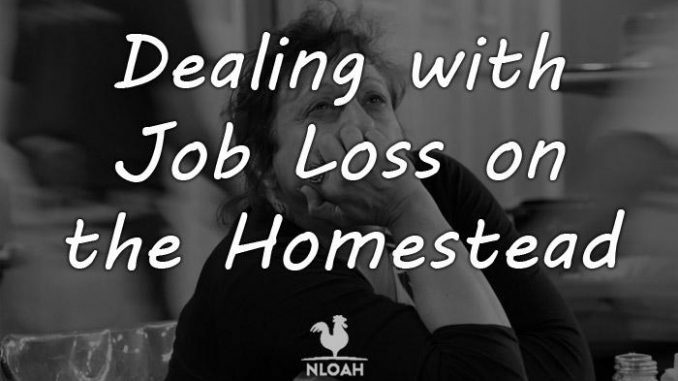 This will help you get through the next step of dealing with job loss on the homestead. Look at the list that you just made with all of your current revenue and expenses. It’s time to determine what needs to stay, and what needs to go on the homestead. You can do this first by dividing your expenses up into two categories: essential and non-essential. Very quickly, run through all of your expenses, and determine which ones are essential. Essential expenses are the bills you have to pay to survive. These include things like your mortgage, utilities, groceries, and property taxes. Put a check mark next to all of your essential expenses. Next, look at your non-essential expenses. These include things like your cable bill, magazine subscription, and the money you spend on things like dininbg out. Put an asterisk next to all of your non-essential expenses. You probably have several expenses where you’re not sure of what category they need to go in. For example, you may spend $75 each month on feed for your poultry flock, but do you really need your chickens and ducks? Maybe you should sell your flock off, or put them in your freezer. And what about the monthly payment on that new tractor? You’ve lived for three years on the homestead without a tractor, do you really need one? All of these are good questions, and we will come back to them later. Add up all of your current expenses. Then, do the same on the other side of your balance sheet, with all of the remaining monthly revenue you have left. Then, subtract all of your expenses from your remaining monthly after-tax income. That number should give you an initial assessment of how much money you will be short each month due to your job loss. It will also be the starting point from which you will start to keep your homestead up and running, too. Now it is time to cut the fat. Let’s look at what monthly expenses we can lessen or do away with altogether to lessen the effects of your job loss. Look at your list of monthly bills, and figure out what you can cut right away at no big loss. Your cable bill should be the first casualty of your job loss, since cutting that will likely save you $100 a month or more. Other subscriptions, such as those for newspapers or magazines, or for online services, should be next. If you typically eat out for lunch every day at your (former) job, eating at home can save you another $200 each month. Foregoing restaurant dining will save you money as well. Once you have determined all of the extraneous expenses to cut, it’ time to go even deeper. Look across all of your remaining expenses, and determine which ones you can eliminate. Maybe you can lease a less expensive vehicle, or use free Wi-Fi at your local library instead of paying for the internet in your home. Since you’re now a homesteader, you may be able to get some better deals on your auto or homeowner’s insurance now, too. Determine all of the reductions and cuts you can make. Once you’re done, you can revise your household budget to reflect the new reality. Now that you’ve reviewed your income and expenses, and determined what you’re going to cut, go ahead and turn all of your data into a budget. Having a budget is critical. You will be able to use your budget to set short and long term financial goals over the next year. It will also help you make your day to day financial decisions as well. Finally, having a budget will show you exactly what type of deficit you are starting from on the homestead since you lost your job. Write down your remaining monthly after-tax income, and then subtract all of the remaining expenses you have from it. Even with your luxury expenses cut, you almost certainly going to have more expenses than income each month and be short what you need to remain solvent. That shortfall is exactly what you are going to have to find a way to address over the next several months. OK, you have a budget shortfall. Even if it is only a few hundred dollars, you have to figure out how to address it, and quick. You can only rely on short term debts like credit cards for so long. And the longer you let a budget shortfall continue, the harder it will be to turn your financial situation around. So, what can you do to make up the shortfall? Here are a few options. If you’re laid off, finding a new job should be a top priority; put other jobs and activities aside, and make sure job hunting is your top priority. If you haven’t had to look for work in a while, this can definitely be harder than it sounds. You’ll need a resume to help market your skills, so either put one together yourself or hire someone to do it for you. While it may cost you, a professional resume service can really help you put your best foot forward. You may want to contact a “headhunter” organization as well, to help expedite your job placement. These services can often help you find work faster than you ever could on your own. You should also try reaching out to old clients and other contacts in your professional network to let them know you’re available; they may be able to give you a lead on new employment, or even hire you themselves. Additionally, you should set up an account on LinkedIn. Employers use this networking site to find new talent, and it also has a terrific job search application built right into it as well. Depending on the state you live in, you may be eligible to collect unemployment benefits. Unemployment benefits are compensation paid for a period of time to individuals who suddenly find themselves out of work. They are meant to cushion the blow of a job loss in order to allow you to search for and find new employment. These benefits vary state by state; the Department of Labor’s website can help you find the right office and determine whether or not you’re eligible for these benefits. Another way to make up your budget shortfall is by freelancing. Having some sort of part time self-employment – or side hustle – can help you earn extra cash to keep you solvent. And these days, thanks to tech innovation, it is easier than ever to get started with a side hustle. Driving is one of the most straightforward ways to get back to work fast as a freelancer. Companies like Uber and Lyft make it really easy to use your vehicle to make money driving people around. And driving for one of these companies isn’t just chump change, either; a recent survey indicated that Uber drivers average over $20.00 per hour. Since you can set your own hours and drive as much or as little as you want, this is a great option for homesteaders. 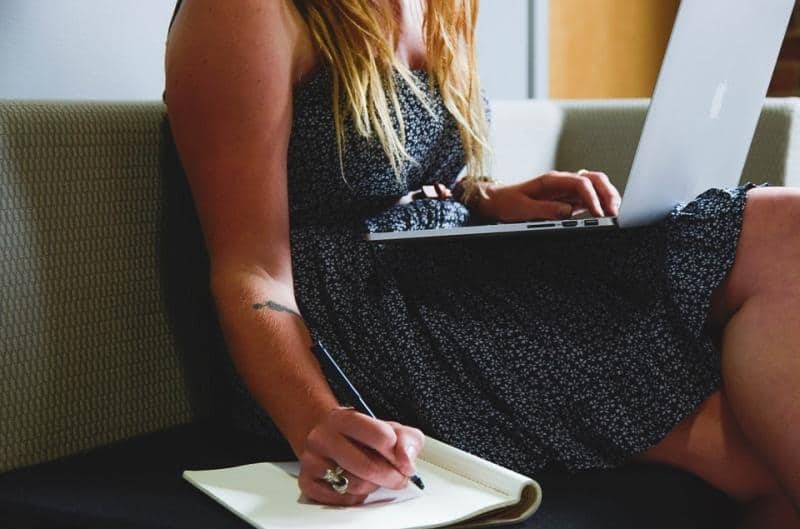 If you possess a more marketable skill, like graphic design, coding, or writing, you may be able to work your side hustle right from home. Freelancer websites like Upwork have created a market for millions of businesses to seek out freelancers for a wide array of skills. You can compete for jobs from clients all over the world on the website, complete them, and get paid, all without ever leaving your home. If those high-tech options aren’t your thing, then you can always search the classifieds or Craigslist for some sort of part time job as well. Larger businesses often hire seasonal workers during the holidays in anticipation of more sales. In the summer and fall, farms in rural areas may need additional workers as well. Either of these options may help to cover your budget shortfalls, at least temporarily. OK, you cut your expenses, and are working to find a way to make up any gaps in your budget. What else should you be doing to deal with job loss on the homestead? You lost your job, and that is bad enough; don’t let the added stress in your life wreck your family as well. While you’re under tremendous pressure to find a new job and keep your homestead solvent, make sure you are paying attention to and taking care of your family. This is a stressful time for them, too. Try not to let your anger and frustration about the losing your job spill over into your family life, that will only make things worse for everyone involved. And try to keep doing things as a family as much as you can, even if you don’t have the same amount of money coming in. It doesn’t cost anything to play a high stakes game of Monopoly at the dinner table with the family, after all. Be as open and honest as possible about what you’re doing. Talking to your family about the challenges you are facing will help them understand and support you better; they may even have some great ideas about how to improve your current situation, too. Talking to your family about everything throughout this whole process can also help reduce the stress level on the homestead, too. While you are out of work, take the time to increase your skills, or learn new ones. Consider taking courses at your local community college, or enrolling yourself in training programs that help expand your overall knowledge and capabilities. There are also great online courses, some of which are free; take advantage of them. Increasing your skills will make you more marketable, and may even help you land a new job. 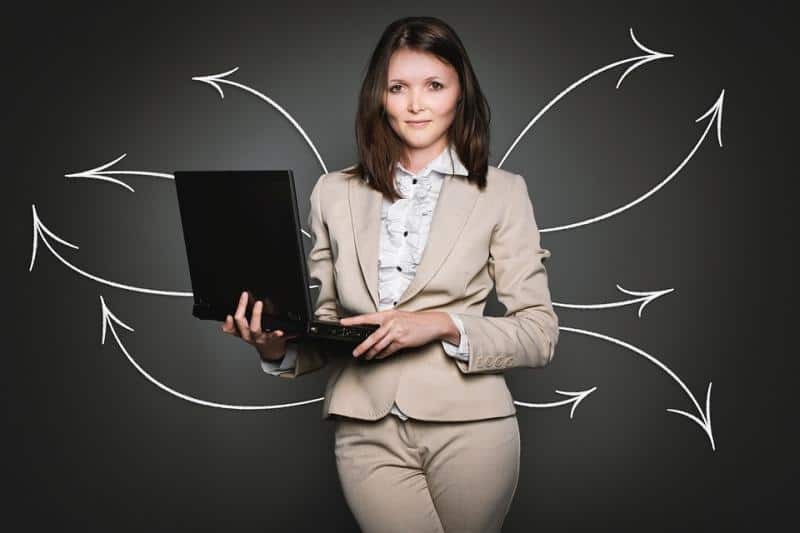 Your online persona and social media presence are increasingly important when it comes to your professional life More and more prospective employers look to your social media presence to gauge what type of employee you would be. Now that you’re between jobs, take the time to tidy up your online presence. Make sure your profiles on sites like Facebook or LinkedIn are up to date; if you don’t have these types of accounts, consider signing up for them. You should also start posting some original content on these sites to show that you are engaged and interested in what’s going on in the world around you. You should consider putting your homesteading activities center stage on your social media accounts. Showcasing your homesteading activities can help increase interest in your profile, and help prospective employers find your presence online. Demonstrating the skills and work ethic you display in managing your homestead may help convince employers you’re the right fit for their company, too. A great way to stay positive while you’re dealing with job loss is to find little ways to “win” every chance you get. For example, coming in $25 or more below on your allocated monthly grocery budget, due to savvy shopping and coupon use. Or getting your first small paycheck as a freelancer. Don’t just shrug off these successes, minor as they are; celebrate them! Make sure you do a little back patting whenever your job loss action plan is successful. Instead of banking that extra $25 from your grocery savings, treat your family to mochas and lattes at the local coffee shop. And don’t let that first freelance sale pass you by; tell your spouse and kids about it, and maybe pin a copy of your first sales receipt to the family bulletin board. Little victories like these will help you keep a positive attitude, and give you the energy you need to keep pressing forward as you copel with your job loss. While you are dealing with the short-term fallout of losing your job and trying to make ends meet, you should also consider your homestead in the long term. Can your homestead mitigate your job loss more than it is right now with a little bit of extra work? Maybe you can use your homestead to increase your self-sufficiency, and lower your grocery bills. 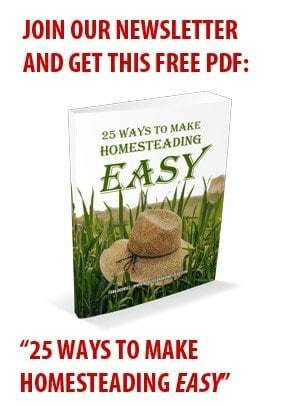 You homestead may even be able to help you make a little money as well. Ramping up your poultry production can keep your family supplied with fresh eggs and a renewable source of meat. An incubator or a broody hen can ensure that you can produce as many new chickens as you want, too. Similarly, keeping cows or goats for milk can ensure that you have a ready source of dairy products available, too. And what about your garden? If you have the land, you can expand it for next to nothing, and put more acreage under cultivation. Seeds are cheap too, and if you choose heirloom variety vegetables, you can collect seeds for free after each harvest. A larger garden will provide more vegetables that you can eat or preserve for later, helping you to further lower your grocery bills. Perhaps your homestead can help you bridge those budget shortfalls, too. Maybe you should start selling some of your produce in local farmers markets. 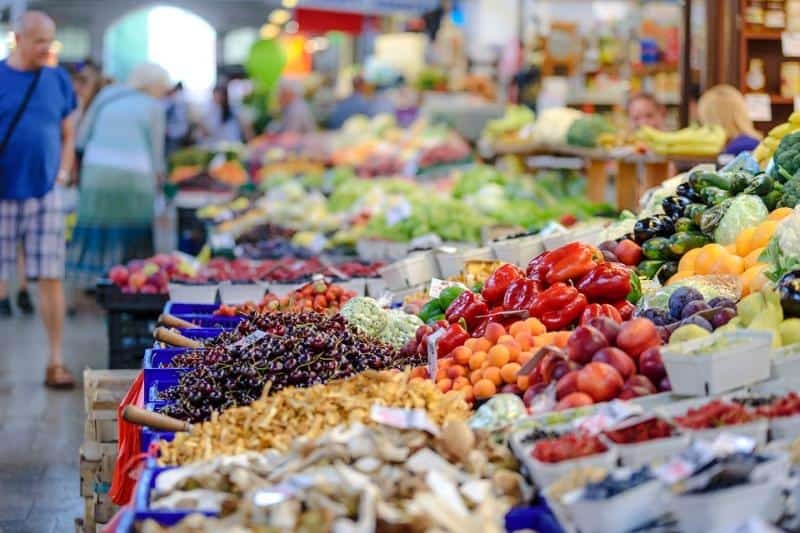 Local restaurants may be willing to buy produce from you too, especially if you have niche items that are hard to get from wholesalers. These two options are relatively low risk and low impact, and can potentially have a big impact on your cash flow. If you are even more confident about your homesteading capabilities, maybe you could run a community supported agriculture (CSA) program. A CSA is basically a subscription service for farming; customers pay up front for a weekly supply of farm products from you, which you provide on a regular basis for a prescribed amount of time. Those up-front payments from your subscribers can help cover your revenue gap while you are out of work and looking for a job. Another thing to consider for additional revenue on your homestead is space. You may be able to rent out land that is otherwise sitting fallow; perhaps there is a local farmer that wants to use it. People may want to rent your barns or outbuildings for storage or other purposes, too, an easy way to add additional cashflow to your budget. Finally, if you have space to spare in your home, you could consider renting that out as well. Even temporary rentals, on services like Airbnb, can close your revenue gaps, and help you deal with job loss on the homestead. Dealing with job loss on the homestead is tough, but it doesn’t have to be a fatal blow to your dreams of a self-sufficient lifestyle. The tips here can help you absorb your sudden job loss, stay positive, and keep your homestead solvent under difficult circumstances. So if you suddenly lose your job, follow these tips, and don’t ever give up hope on the homestead! My 🍗 and ducks ate leftovers, oats vegetable scraps and we couldn’t keep them away from the cat food. If you are writing a budget after you have lost your job, then you probably shouldn’t be living on a homestead. The amount of time, energy and preparation that is required so that you can ride out most economic hardship, should be planned out prior to buying property. You have some valid points about the cost of keeping animals, and then comment on using them to save money. Again, these are things you should be aware of before keeping animals. Not everything we do on a homestead is necessarily cheaper than going out and buying it, and we all learn by our mistakes, but once again planning prior to living on a homestead is a much wiser choice then jumping in and trying to figure it out after the crisis has occurred. Frankly being someone who is very conservative with money, I would never buy a house that I couldn’t afford should my circumstances change and I understand that many people do not feel the same way but being able to sleep at night knowing that if I had to work at a supermarket or pump gas for a living and still pay my bills Is a much more comfortable way to live. For the record my off homestead job is one of the least recession proof jobs there is, but my little farm is safe and I will always be able to afford to live here as long as I am physically capable of maintaining the property. I don’t think the article is a ‘one size fits all’ plan…it is supposed to give a starting point for people who aren’t sure what to do. Hopefully they are reading this article before losing a job, as a way to prepare for a difficult situation. Having a budget is a great idea for anyone. However, many people don’t have one. And, regardless of whether you homestead or not, the points made in the article are valid. Amy, even if you have a budget, you will have to revise it after losing your job, right? 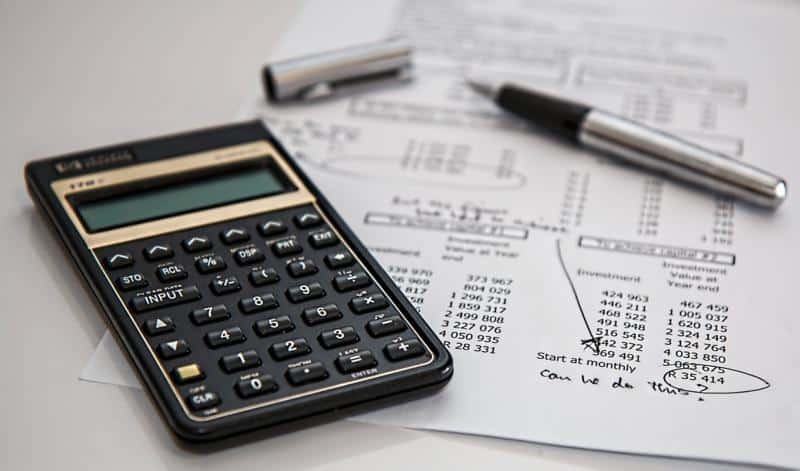 That is what much of this article focuses on: assessing your financials and making the necessary revisions to your budget to keep your homestead up and running. While you may be financially secure enough to afford your home regardless if your financial circumstances change or not, most Americans are not so fortunate.